From the award-winning author of Among the Missing, Fitting Ends and You Remind Me of Me, comes an ambitious, gripping, and beautifully written new novel about identity and identity theft—in the tradition of The Talented Mr. Ripley and Case Histories. Three strangers who are trying to find their way in the wake of loss become entwined in an identity theft scheme, which has a resounding impact on them all. At once a gripping pageturner, a gorgeously written psychological study, and a meditation on identity in the modern world, this is a literary novel with the haunting momentum of a thriller. 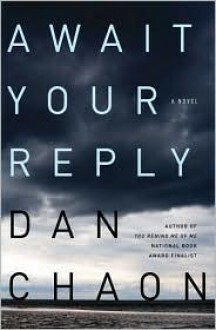 Dan Chaon is the author of Among the Missing, a finalist for the National Book Award, which was also listed as one of the ten best books of the year by the American Library Association, the Chicago Tribune, the Boston Globe, and Entertainment Weekly, as well as being cited as a New York Times Notable Book. Chaon’s fiction has appeared in numerous journals and anthologies and has won both Pushcart and O. Henry awards. Chaon teaches at Oberlin College.